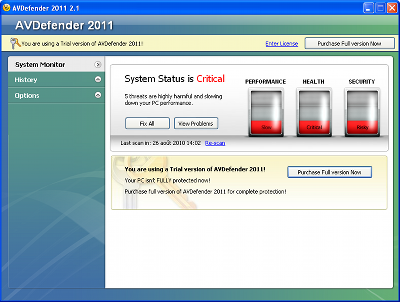 AVDefender2011 is another fake Antivirus. The rogue detects fake infections and prevents legit softwares execution, displaying alert messages to scare users. If your PC is infected with AVDefender 2011 use MBAM to remove the infection.